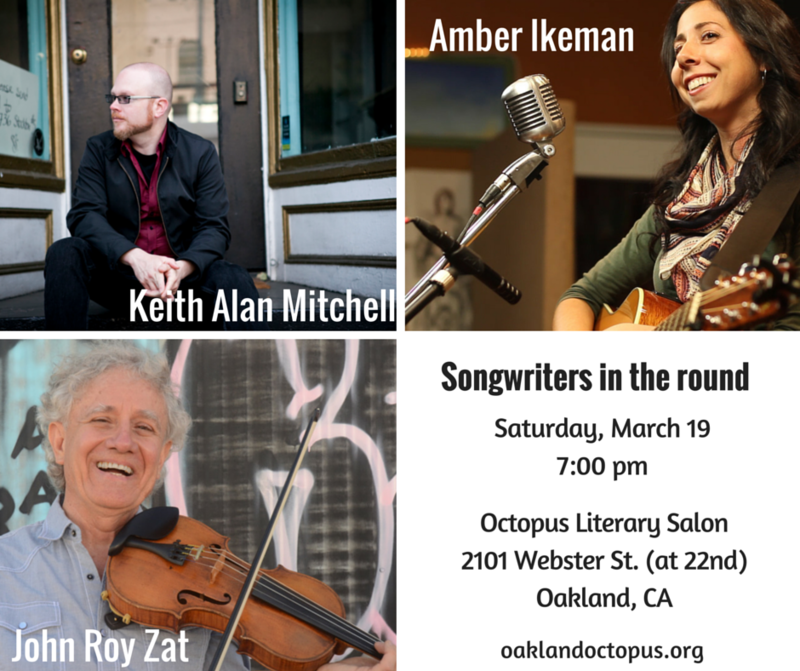 I’m very excited to be playing again at the Octopus Literary Salon, a comfy, cozy coffee shop dedicated to hosting to performances and readings. It also happens to include a great selection of literature for your perusal and purchase. Join me and my friends Amber Ikeman – coming all the way from Montana! – and John Roy Zat for an evening of acoustic music.